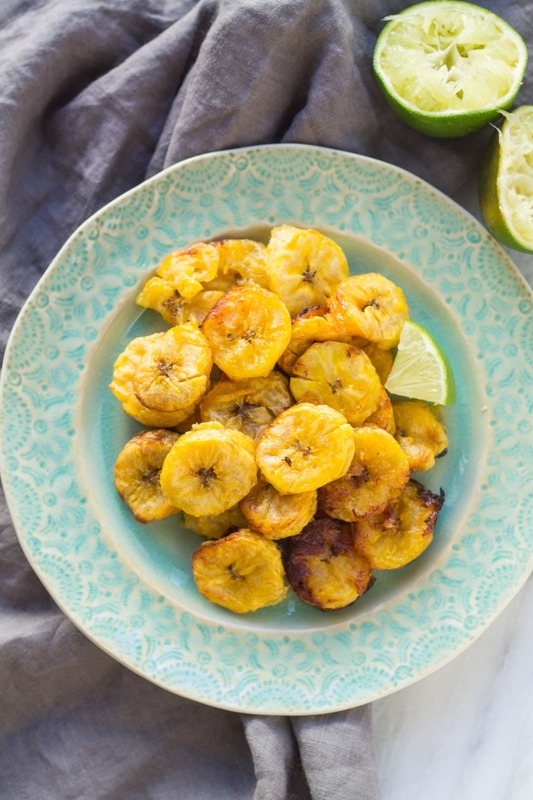 Low FODMAP Roasted Plantains are a sweet and simple side dish recipe. 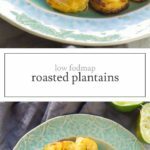 Low FODMAP Roasted Plantains are a delicious replacement for sweet potato or other starchy sides. If you’ve never had a plantain before, it looks similar to a banana but is treated more like a starchy vegetable. It is often eaten when it is green (not sweet), or when it looks like a really overripe banana (sweet). 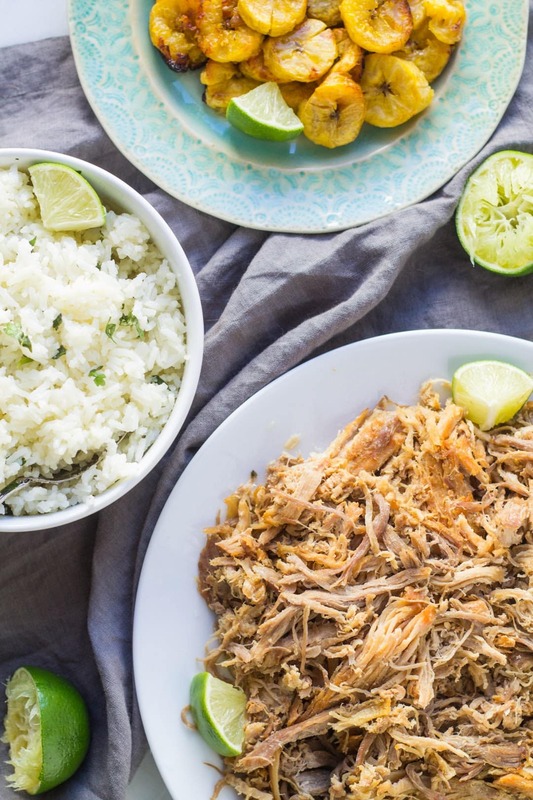 I really like to enjoy them sweet with Carnitas and Cilantro Lime Rice. Preheat oven to 400°F. Line a baking sheet with aluminum foil. Coat surface with nonstick cooking spray. Peel plantains and slice into ½” thick rounds. Place in a single layer on the lined baking sheet. Roast for 15 minutes. Flip plantain slices and roast 15 minutes more. Remove from oven and let cool slightly before serving. Plantains: A low FODMAP serving is 1 medium plantain or 144 grams. To my knowledge, Monash has not tested the difference between a green vs. ripe plantain like they have bananas. So, the plantain’s low FODMAP status may change with future testing.